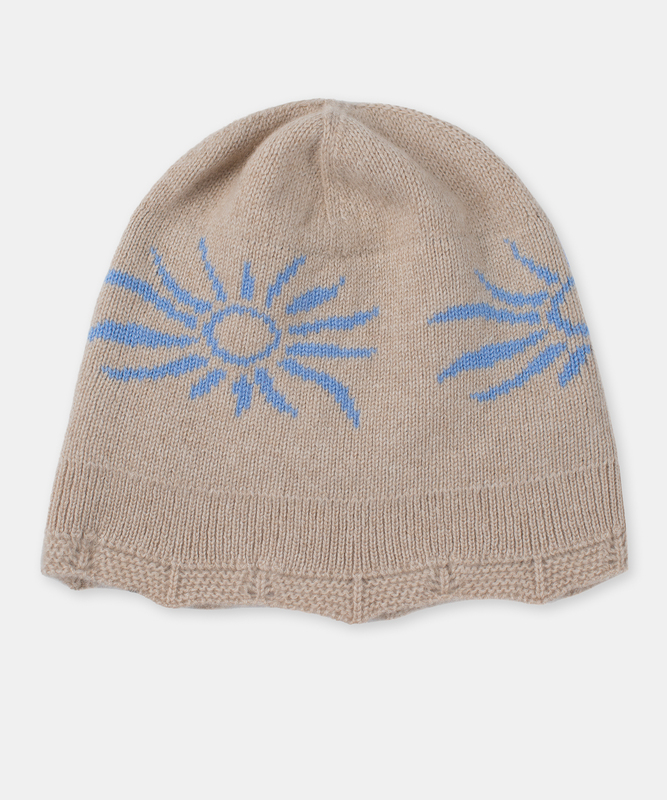 Blue sun motif with finishing details around the beanie's edge. One size. Please inquire for availability and lead time.